Hey y'all! I've missed this here little blog! Welcome to another What's Hap-'Pinning' Wednesday - link up with us below to share what's going on. 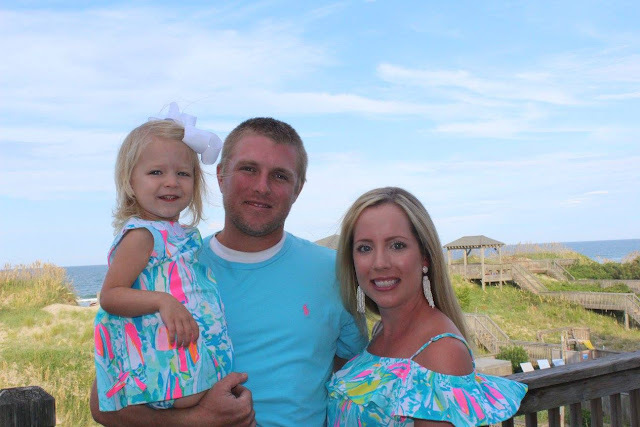 Today I'm doing a big ole' picture dump of our beach vacation to the OBX. As y'all know, we love the OBX and go twice a year at least. 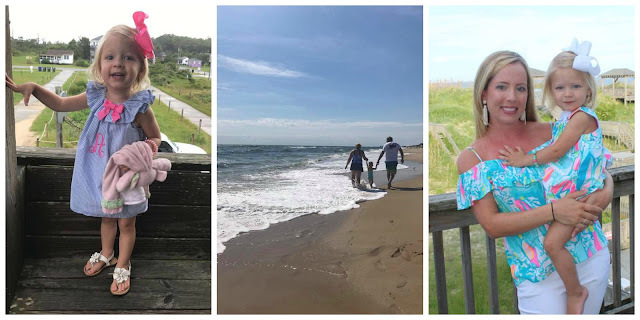 You can check out my guide to all things OBX HERE and plan your own trip as well! The weather was sort of cloudier than other trip we've taken but that didn't stop us from being on the beach from breakfast time to dinner time. We were able to take Miss Andi to the NC Aquarium which she absolutely loved (and so did we) on the first rainy day. She has been so into all things 'sea creatures' lately so she was totally surprised when we showed up to a place dedicated to those so-called sea creatures. 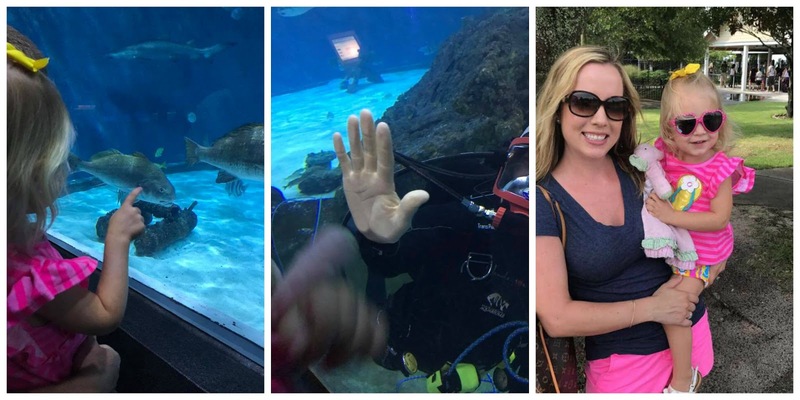 She loved the huge tank with all the colorful fish but was a little stand-offish when the big ole' sharks swam right up to the glass. There were people in there feeding them in scuba gear y'all! They even gave Miss A a high-five through the glass! We went out every single night and devoured so much seafood that it wasn't even funny. Ice cream stops and beach store shopping also. We didn't use the pool much but we thoroughly enjoyed our time together and the beach was breathtaking. 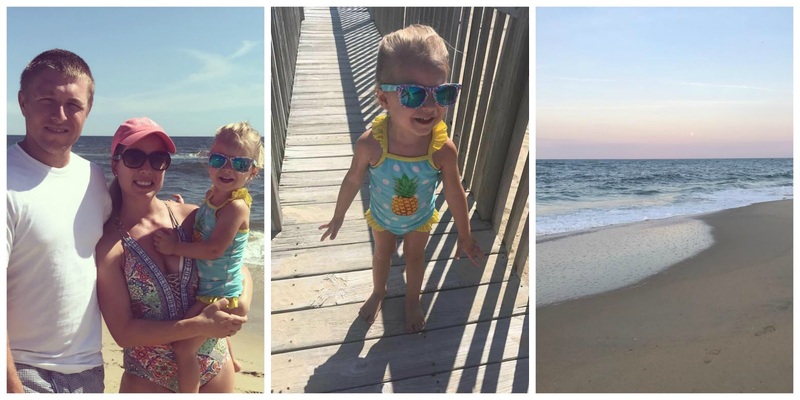 Miss A is such a beach loving diva (like her Mama) and we are counting down the days until we go back for Labor day! How precious! What a fun trip. I'm loving those family photos, too! Aww sounds like the best time! I love they gave her a high five through the glass! So glad it was a fun trip! Those pics are freaking adorable. 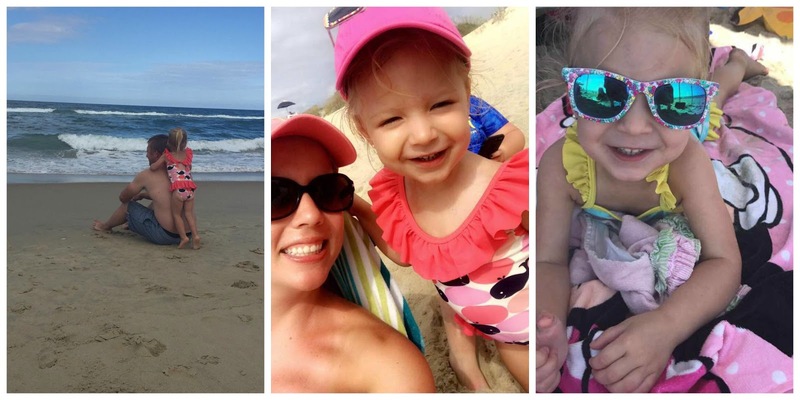 I love Andi's little body in those bathing suits--sooooo stinking cute!!! Makes me picture Ella running around in them in a year or two. Looks like a great trip! I like you all in the blue tones together!! 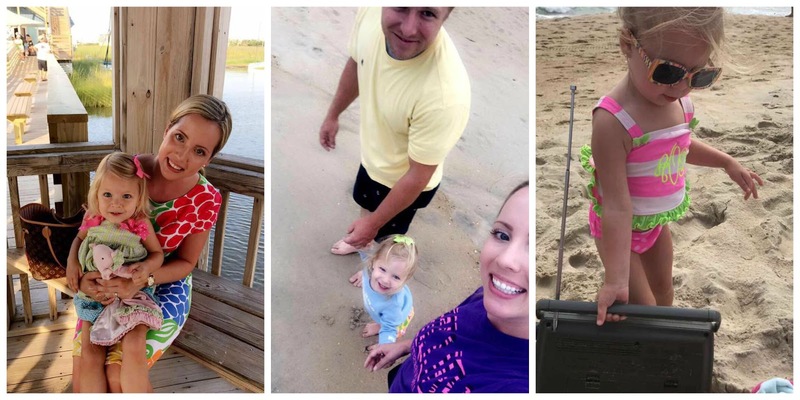 I am obsessed with your family photos - you guys look so pretty and so nicely coordinated! I loved keeping up with your trip! 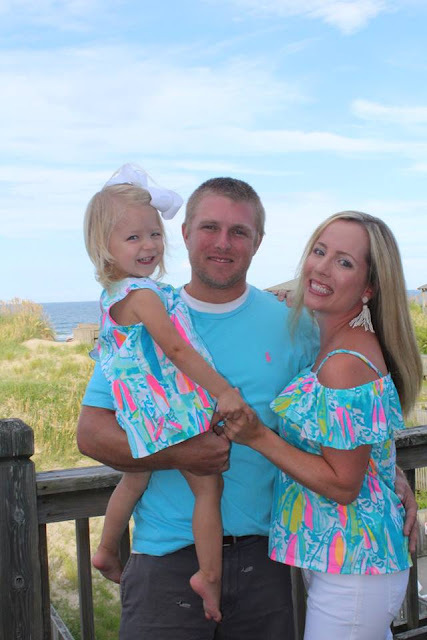 Such a precious sweet family you have! So glad you guys have a great time away. What a great trip! And such wonderful family time! Such a fun trip!! Loved all of y'alls outfits and Andi's swimsuits were darling :) So nice y'all were able to visit the aquarium when it rained! Cute photos! It sounds like you had a blast. That's great you could make it to the aquarium. You guys made so many wonderful memories! Andi is just a little baby doll! So fun! 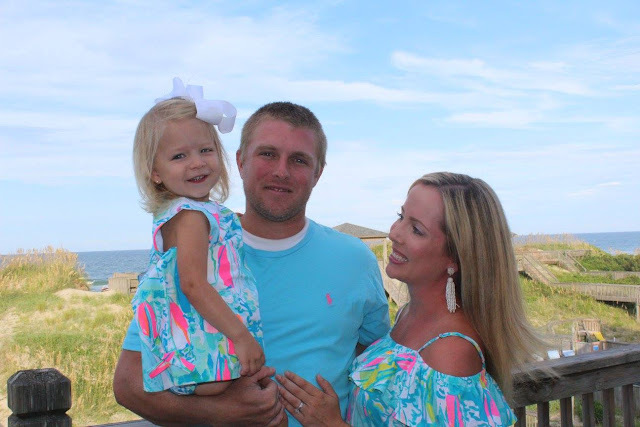 Love the family photos.